The largest of the anti-tank guns used by the British Army in the Second World War, the 17pdr could knock out any of the German tanks in service during the later stages of the war. This powerful weapon can now be built in model form with this superb construction kit. 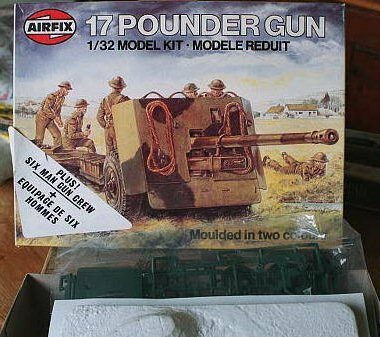 No less than 216 parts are provided including a full gun crew and miniature replica shells, while the gun itself has many working features such as the split trails and breech mechanism. Overall length 232mm.